Effective prevention of tooth decay (dental caries) has been a huge field of research ever since the main etiological agent behind the disease was identified. Chinese scientists might finally have made the breakthrough. The team recently developed a vaccine that might be used for prevention of dental caries in the future. Dental caries – how common is it? The short answer is: it is extremely common. According to the World Health Organisation (WHO) dental caries is the most common disease occurring in the oral cavity in humans. Up to 90% of schoolchildren and the vast majority of adults in westernised countries are affected by dental caries. Therefore, an effective vaccine preventing tooth decay could benefit a huge number of people, especially people from low socioeconomic backgrounds without access to regular dental care. Dental caries – what is it? I bet most of you know this but let’s just go back to the basics for a moment. Dental caries is caused by acid that dissolves the outer layer of the tooth (enamel), which is made up of minerals. 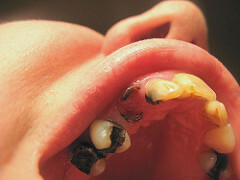 The acid comes from bacteria that naturally habitat the human mouth. The bacteria accumulate on the surface of the teeth along with saliva and food particles forming a sticky film called plaque. 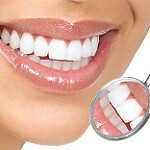 In the plaque, the bacteria feed on sugar and produce acid that destroys the tooth’s enamel. How is a vaccine against dental caries possible? Streptococcus mutans is one of the most common acid producing bacteria that live in our mouth. Scientists from the Wuhan Institute of Virology (WIOV) of the Chinese Academy of Sciences have developed a vaccine that contains a protein called KFD2-rPAc. When the protein is injected into the body, it triggers the immune system to fight the Streptococcus mutans bacteria. The research team have previously developed and tested a number of vaccines but they all had a number of adverse effects so the vaccine has continuously been redesigned. The latest version of the vaccine has been tested in mice, and the results are promising: Two thirds of the mice without dental caries before the vaccination were prevented from developing caries when compared to mice not receiving the vaccine. Moreover, the vaccine had a curative effect in over half of mice that already had dental caries at the time of vaccination. Importantly, no adverse effects were observed in the mice that were vaccinated. Though promising, the vaccine will have to undergo further testing and evaluation before the vaccine can be tested in humans. Should we educate or vaccinate? Since dental caries is such a common problem, it seems obvious to develop a vaccine against it. I reckon we can all agree that it could be great to skip the dentist visits and save the pain and money. I do think, however, that we must be careful not to try solving diseases by use of medication in cases where the disease can easily be prevented by other means. Historically, the rate of caries has markedly decreased during the last 100 years as a result of improved dental care and awareness on dental hygiene. However, during the last decades the increased consumption of sugar (especially sugared soft drinks) among children and adolescents has increased the dental caries rate. It is well documented that thorough tooth brushing 2 – 3 times a day and lowering the intake of sugar effectively prevents caries. This “vaccine” for sure is cheap and has no adverse effects. On the long term, it might be safer and equally effective to invest in a more comprehensive education about proper dental care and diet.